Leaves skin moisturized, soft and radiant. 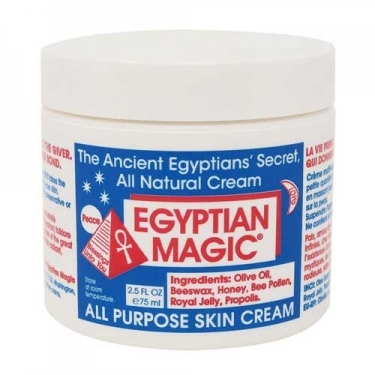 Egyptian Magic All Purpose Skin Cream from Egyptian Magic is a balm that repairs, moisturizes and helps reduce imperfections. It can be used from head to toe, as it works as a facial moisturizer, make-up remover, eye contour, lip balm, hand cream and cuticles. Moisturizes dry ends of hair, soothes sensitive and irritated skin, relieves redness and dryness of skin. Leaves skin moisturized, soft and radiant. With 100% natural properties, it is produced based on honey, olive oil and royal jelly. Put a small amount of balm in the hand or the tips of the fingers and rub until oil becomes;Apply gently on the skin and massage into circular motions;Apply daily at night on face and several times a day in very dry or irritated areas;Can be used on the lips, hands, elbows, feet and even hair.